The modest USB drive that has been succeeded by cloud sync and downloads has far more uses than you think. If you have one lying around somewhere, here are some ideas for using it in smarter ways than sharing music or photos with your mama. 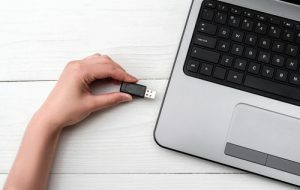 You can effectively operate a entire computer system that is packed on one portable disk because many Linux distros can smoothly run from a USB drive. Take it along wherever you go and plug it in to pick up where you last stopped. You can find instructions for many distros (Ubuntu and Kali) on the web and you don’t need to be a tech wizard to get the OS images downloaded and written to USB. Running a entire new OS might be a bit intimidating so why not stay in Windows and put the most of your apps in a USB drive. You won’t clutter up the main hard drive as they will stay away from your main operating system. You can take your file and apps anywhere you go if you are sure that there will be a PC at your destination. It is so much easier to throw a USB stick in a bag than a laptop. It has been mentioned that cloud services are the obvious choice to store files these days but it might be more useful to have the physical files when packing for your next vacation. By doing this you will have you most important documents with you at all times instead of scouring around for WiFi signal. To clean up a virus infested computer is a messy business. Advanced malware programs are resistant to the most common techniques and can take steps to ensure that they are impossible to find. Sometimes it can prevent you from getting into your PC or online. But there is a solution, get one or more on-demand scanners on the drive and create a virus removal tool that you can use anywhere. This will only work if you have a Windows machine but how do you do this? It is actually quite simple. Search for ‘create recovery drive’ from the task bar. Choose the top option when it appears. Select ‘Back up system files to the recovery drive’, then ‘Next’. Plug in USB drive and choose it from the list. Choose ‘Next’ and the ‘Create’. As simple as that, you will have a drive that you can boot in any emergency. ReadyBoost is a Windows feature and allows you to use a USB drive as a disk cache to speed up write and read times which can make a massive difference to performance. Put your drive into a Windows computer. Right click on the drive. Open the ReadyBoost tab – instructions will will help you to prepare the drive. There will be a dialogue box which will indicate if your system is suitable and if it will make any difference at all. When you apply for a new job, the one thing you want to do is to stand out from the rest. The USB drive can be the perfect tool to achieve this. You can include your CV, examples of your work and maybe a video presentation. Package it up neatly and hand deliver it to your new prospective employer. You can also use USB sticks as business cards. You actually get business cards with a tiny USB stick built in. They will need to trust you enough and not assume that you are trying to infect their PC though. If you want to erase all traces of your activities after searching the web or the deep web, the USB might just be your very best friend. Tails OS is a disguised system that you can run from your USB drive. As soon as the stick gets pulled out, any traces of your activities will be gone. A other feature it brings is built-in encryption. This makes it impossible for others to get at your files, even if you lose your USB drive. The wonderful days of mixtape have come and gone but if you would like to impress someone special in a totally different way, you can make them a USB mixtape. Throw some of your favourite song on your USB drive in MP3. You should keep in mind to limit yourself to an album’s worth of tunes as you don’t want to overpower your friend with thousands of new songs that they will need to ingest.